Durham: Minnie Inscoe Black, 97, died Monday, November 19, 2018, at Carver Living Center. She was born in Raleigh, the daughter of the late Vid and Lizzie Inscoe. She was preceded in death by husband, Harvey B. Black; son, Steven R. Black and wife Phyllis; sisters, Lillie Browning, Lucy Myers, Mary Clifton; brothers, Joe and Sam Adcock. Mrs. Black attended school in Creedmoor. 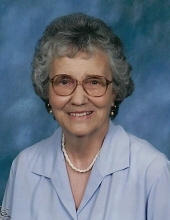 She retired in 1975 from American Tobacco after 36 years of service and was a member of Bethany United Methodist Church. Mrs. Black is survived by her grandchildren, Christy Coale and husband Jim of Virginia Beach, VA, Lisa Wiggins and husband Robert of Suffolk, VA, Amy Moser and husband Phil of Chesapeake, VA; great-grandchildren, David Price, Katlyn Wiggins and Hunter Moser; and niece, Gail Browning Malone. A funeral service will be held 2 pm, Wednesday, November 28 at Clements Funeral Chapel in Durham with Rev. Julia Bowden officiating. The family will receive friends prior to the service from 12:30 pm to 1:45pm. She will be laid to rest at Maplewood Cemetery. To send flowers or a remembrance gift to the family of Minnie Inscoe Black, please visit our Tribute Store. "Email Address" would like to share the life celebration of Minnie Inscoe Black. Click on the "link" to go to share a favorite memory or leave a condolence message for the family.